Having received a special request from the Americans, Tony Abbott was finally able to make the announcement he’d been looking forward to making for weeks: Australia is be going back to Iraq. But does it not seem odd that the request – this is a ‘global threat’ if you believe the government’s rhetoric – didn’t come from the Iraqi government or the UN rather than the country that’s largely responsible for this whole bloody mess in the first place? Of course this was never conceivable; it’s just not the way things work. There may be a lot of hype about the cobbled-together coalition, but make no mistake, this is another American war. Most of the comparisons with the 2003 invasion are misguided, but one thing they do have in common is that they illustrate just how ill-equipped that great cosmopolitan institution – the UN – is to deal with real crises and how impotent they are in the face of a determined USA. 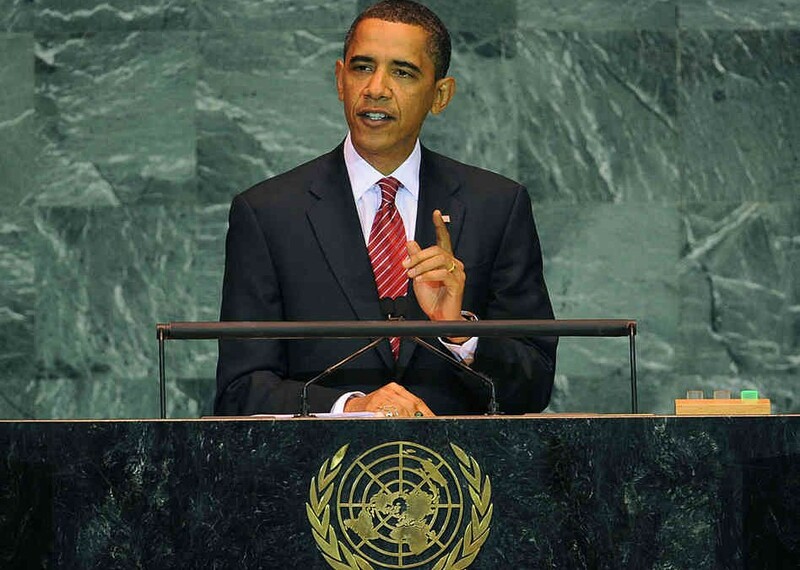 In 2003, when the United States – with Australia in toe – flouted all kinds of UN resolutions and international laws, doomsayers spoke of the end of the United Nations as we knew it. Evidently they were wrong, but for rather unfortunate reasons. It’s not that in the intervening period the UN has shown itself to be indispensible; rather, its inability to make any significant impact when most needed was already well established. Trying to place when this general sense of despondency set in – Rwanda, Darfur, Sri Lanka, Cambodia, Vietnam, Srebrenica, East Timor, etc? – is an almost impossible task because of the consistency of their failures. With military operations having already begun, the UN will rubber-stamp American war-plans later this week when the Secretary of State, John Kerry, heads to New York to chair a meeting of the Security Council on Iraq. Following that, President Barack Obama will chair a panel meeting to deal with foreign fighters in the conflict (the irony of arming these fighters in Syria, while condemning them in Iraq is seemingly lost on the administration). This whole business of humanitarian intervention – or, as the UN prefers, responsibility to protect (R2P) (don’t let anyone tell you the two are different in any significant way) – has always been a particularly slippery issue for the United Nations because the intervention is actually a military one. To borrow from our (not)wartime attorney-general, George Brandis, this raises existential questions for the United Nations; it’s an organisation, after all, set-up to prevent wars, not champion them. During the Bush-led invasion the UN’s position was at least clear, albeit with no recourse to change the outcome. This time around they’ve been almost silent; happy to let the Americans take the lead and feebly agreeing to support their plans. As threats persist from ISIL and the terrorist groups globally, the US – no matter how committed – cannot go it alone in defending them. Whatever move the president makes next, it’s clear that the UN will continue to play a vital role in the region. Mr. Yeo’s commitment amounts to little more than playing the role of cheerleader. This begs the question: Who’s keeping the US-led coalition in check? This is not, historically, a group renowned for its humanitarianism. Nor does America’s record in the region fill one with confidence. Speaking on MSNBC, Jeremy Scahill, author of Dirty Wars and a man who’s spent the last decade covering America’s wars in the Middle East and north Africa, said he doesn’t believe ‘a military solution makes any sense here.’ He pointed out that if the US really wants to hurt ISIS and try to establish trust with those living in the people in the Middle East it should lean on its allies in the region – specifically Saudi Arabia, Kuwait and Qatar – to cut funding to the terrorist group. With both the Coalition and Labor committing themselves unquestioningly and unequivocally to the US’s war plan, this debate is only happening at the fringes. Even the Greens’ anti-war drum-beating is barely resonating. In all this manufactured hysteria and selective outrage the need for a strong and independent United Nations, willing and able to challenge the gun-running-bomb-dropping approach, is more important than ever.